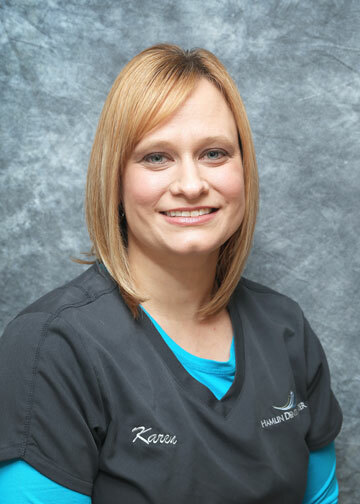 An integral part of our office staff since 2007, Karen has twelve years’ experience in the dental field. She is trained and has worked as a chair side dental assistant and currently holds the position of Scheduling Coordinator. Both her clinical and front office experience help her to understand the flow of the practice. This contributes to her ability to efficiently perform her primary responsibility of keeping the schedule running smoothly and making sure that our patients’ overall experience is as pleasant and comfortable as possible. Karen finds it most rewarding to make our patients feel cared for and welcomed.